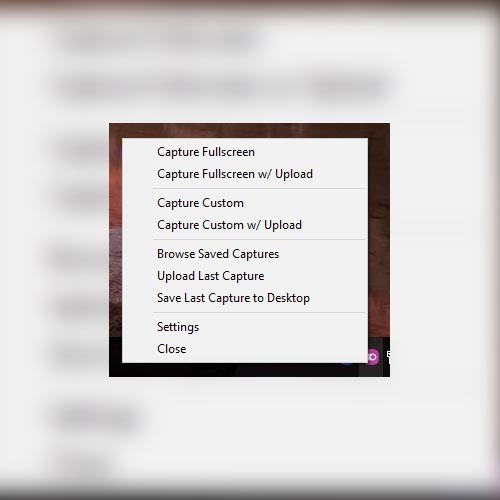 Taking screenshots on Windows is not as straight-forward when compared to other desktop and laptop operating systems. Yes, Windows features a built-in screen snipping tool, but it's a massive pain to use, nor is it very quick. Luckily, I realized it doesn't have to be like that, so I made ScreenSnap. 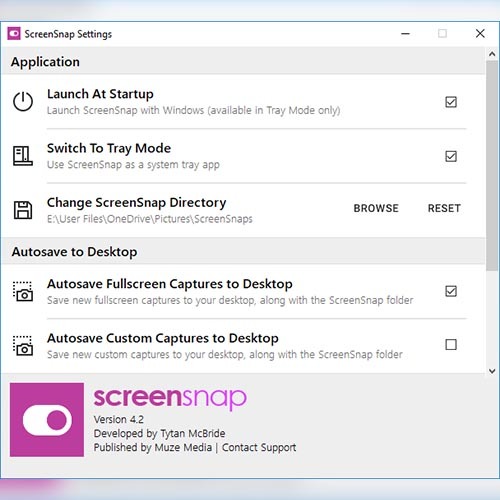 ScreenSnap is a lightweight program that allows you to quickly and easily take, save and share screenshots on your Windows computer. Just hit the 'Print Screen' button on your keyboard to capture and save a full screen screenshot, or use other keyboard shortcuts to drag a custom area to be used instead. Even better, in addition to quickly saving the screenshot to the location of your choice, you're also a click away of uploading that capture to Imgur, and having the link instantly copied to your clipboard for easy sharing. For optimal use, use with a display set to either 100% or 200% scaling (other settings should work just fine, however there may be some text or image rendering issues due to the way Windows scales apps).